Aziz Ansari attends the Official Viewing and After Party of The Golden Globe Awards boasted by The Hollywood Foreign Press Association on January 7, 2018 in Beverly Hills, California. 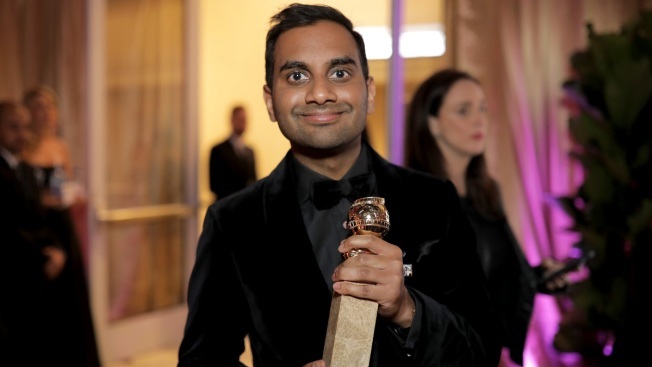 Cindy Holland, a programming executive for the streaming service, said Sunday there's been thought given to a third season for the comedy starring and co-created by Ansari. Holland was also asked at a TV critics' meeting about the future of "Arrested Development," a Netflix series shadowed by sexual misconduct allegations against star Jeffrey Tambor stemming from his tenure on Amazon's "Transparent." There's been no discussion about whether there will be another season of "Arrested" or if Tambor would be involved, she said. Tambor was fired from "Transparent" after an actress on the show and Tambor's assistant accused him of inappropriate touching and sexual propositions, allegations that the actor has denied. "Arrested Development" star Jessica Walter said in an interview that Tambor verbally harassed her on the set. At the Television Critics Association's summer meeting Saturday, Amazon Studios chief Jennifer Salke said a fifth season of "Transparent" is planned but declined to say what the creative direction would be without lead actor Tambor. Netflix's Holland expressed approval of the upcoming final season of "House of Cards," which will wrap its acclaimed run without star Kevin Spacey. He was fired after at least 24 men accused him of sexual misconduct or assault. The show is ending with season six as planned, said Holland, adding that Netflix is "really proud" of the work that star Robin Wright and the rest of the cast and crew have done. Wright's character, wife to Spacey's politician, will be a focus of the last season. Holland said she wasn't ready to announce the political drama's debut date.